It’s been a very long time since Torchwood graced our TV screens—to the point that the thought of getting another season seems impossible. But have no fear! Jack Harkness and Gwen Cooper are going to be back in action with a brand new ongoing comic series from Titan, and io9 has the first look. Set in continuity with the recent Torchwood audio plays from Big Finish, the new Torchwood comic is being billed as the continuation of the Torchwood saga. John Barrowman and his sister, Carol E. Barrowman (who’ve collaborated on writing in the past, including Torchwood novels and a comic series based on Barrowman’s Arrow character) will be writing the comic. Antonio Fuso and Pasquale Qualano will provide artwork. 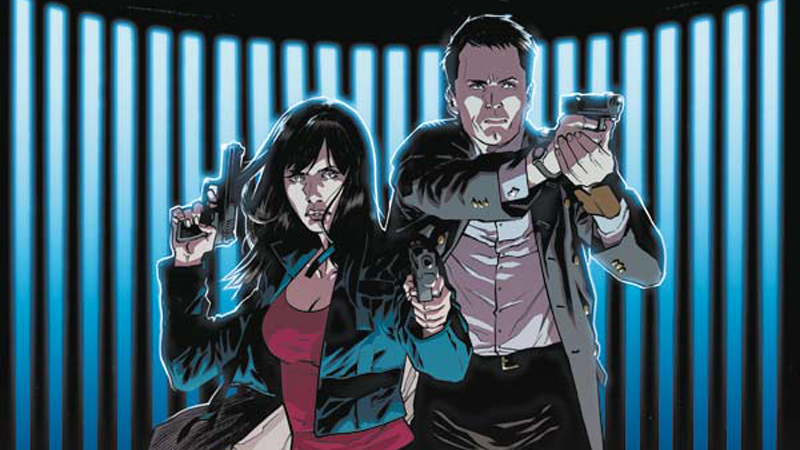 The Torchwood comic will pick up with Captain Jack’s return to Cardiff, and his arrival back in the life of Gwen Cooper and her husband Rhys, as he goes on the hunt for nefarious technology that’s been claimed by a shadowy organization. It’s classic Torchwood: global threats, big conspiracies, our heroes out-manned and out-gunned and on the run to save the day (and Torchwood as an organization itself). And, hopefully, copious amounts of Welsh people. What more could you possibly want? You can check out a few of the variant covers being released for Torchwood #1 below. Torchwood #1 is set to release in the US and the UK on July 6th.